As a result, Town will play third tier football next season for the first time since 1956/57. “It’s a horrible, horrible day,” vice-captain Skuse said after Saturday's game, the Blues' 12th 1-1 draw of the season. “Not just for us as players but everyone involved in the town. 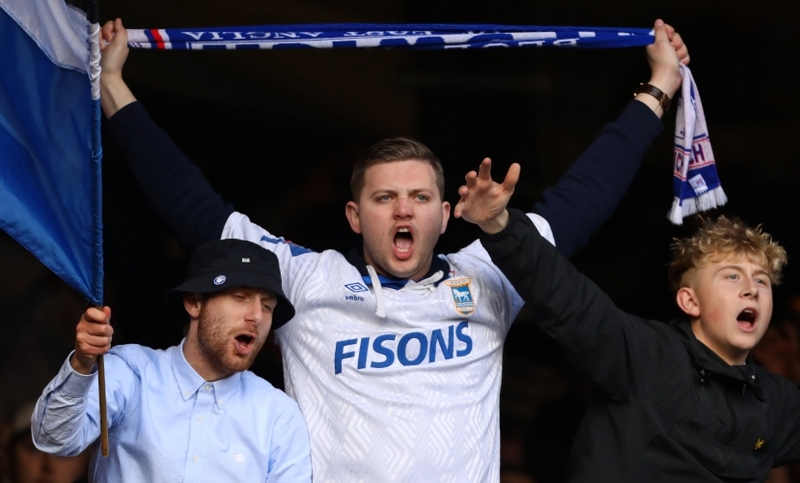 Asked whether the players accept responsibility for Town's disastrous season or whether the blame lie elsewhere, with owner Marcus Evans, Skuse added: “I’m not going to stand here and blame the owner. He doesn't go out on the pitch and run around for 90 minutes. “We, as players, have to take responsibility, we are accountable so it is no good us coming out and passing the back onto someone else. Quizzed on how the squad will approach the remaining four games of the season, he insisted: “We are not going to down tools just because we have had a tough and emotional day. We are not going to be putting on our flip-flops and go on holiday. “It is a travesty what has happened but the least we can do for everyone involved is to finish as high as we can and carry on that momentum into next year. He added: “It has been an emotional day. We have to hold our heads up and finish as high as we can." Questioned about his own future, 33-year-old Skuse added: “I have another year and an option for a year after that. Reflecting on what lies ahead in 2019/20, he continued: “We are under no illusions. We are not expecting to go into League One and bounce back at a canter, as much as we would like to. “We have seen teams that go down they just don’t run away with the league getting 100 points or whatever. It is a gruelling league where you play a lot of games. Like manager Paul Lambert and skipper Luke Chambers, Skuse paid tribute to the Town support, who gave the squad a loud and defiant ovation following the final whistle on Saturday. “I’m not surprised, because they have been like that for weeks and weeks and we thank them," the midfielder, who was previously relegated from the Championship with hometown club Bristol City in 2013/14. “The changing room, the staff, everyone from the training ground staff, us, everyone thank the fans because you would not get that anywhere else. Elsewhere you would be getting jeered off, things thrown at you, all sorts. He added: “It does hurt. There are grown men crying in the dressing room because they understand the situation and it does make it even more of a wrench when you know you have let so many people down around the town. Birmingham midfielder David Davis thought his team would have won if they’d taken their opportunities. Meanwhile, Town's U23s end their table-topping Professional Development League Two South fixtures with a home game against Nottingham Forest at Portman Road this evening (KO 7pm). Good man, excellent character,and as always will be something of a lynch pin : and at early 30’s probably should be still near peak stamina . Look forward to his contributions over the next year . Skuse has been with us a number of years now. That tells me he hasn’t quite got what it takes. If he was a good Championship standard midfielder he would have been sold long before now. Much like any other quality player we’ve had and then sold on. Agree - the likes of Chambers and Skuse should be shouldering part of the responsibility - and in fairness they are. Both will know, and have accepted, that their personal performances this year have been average at best. I do wonder if Skuse will be one of those moving on. It's not draws which have hindered us all season Cole. It's the home defeats to poor/average sides ie Reading, Millwall etc !!!! We simply must get off to good start next season for all concerned and although [ with some investment ] I think we will do fairly well in League One I honestly don't think it will be the breeze that some feel it will be. I’d rather be in division 1 with Paul Lambert than in the Championship with McCarthy. 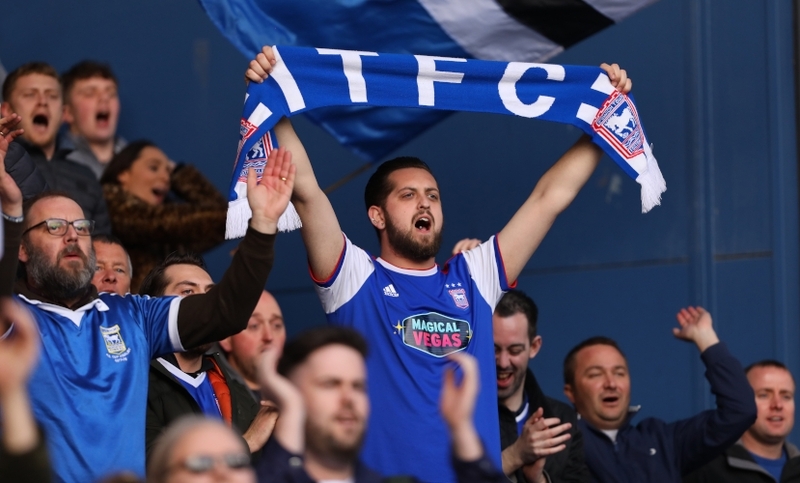 That might sound stupid but next season all of ITFC’s kids will hopefully be playing with freedom and a style of football that will allow them to grow into the potential that they have all shown signs of. Another season of struggling in the Championship may have well have just meant journeymen and experienced championship bargains pushing the younger ones to the bench and under 23’s. If they and Lambert are good enough, we could well see a rise back into the championship and then who knows. It was a horrible, horrible day in respect of getting relegated, but this season has been more "enjoyable" than any since we last reached the play-offs...for me anyway. Football's a weird thing; we're all so passionate about it, but it doesn't really matter. Would my life be any better if Ipswich were in the Premier League rather than heading into League 1? No, not in any significant way; I'd just be thinking about things in a slightly different way. Will I be less expectant on a Saturday next season than I would be if we were in the Premier League? No. If staying in the Championship with our budget means grinding out results as we did under McCarthy, then I'll welcome a few seasons in League 1 to get back to some competitive, entertaining football. I know many on here (and some with an almost worrying level of venom) wish Evans simply pumped more money in to make us competitive, but I suspect we might be a bit ahead of the curve and other clubs, who have done precisely that, are going to find life very very difficult in years to come. There seems to be a lot of reliance being put on the youngsters to come through next season and I'm still not convinced. Keep hearing the phrase 'good crop of youngsters coming through' but from what I've seen, none of them are really tearing any trees up. Dozzell drifts in & out of games and seems to be easily knocked off the ball, Downes looks fairly average. Lankaster looked really good when he was playing & caused havoc with his left foot. Nydam was sent out on loan to a Scottish team so that says it all really. I agree with the above comment about expecting too much from our young players. Downes has not particularly impressed me at all this season. Dozzell is either brilliant or annonymous and Bishop still needs to prove he can handle a full season without getting injured. We certainly need to add a few more senior players that can help nurture their games and take the pressure off them. I rarely comment, but my first visit to Portman Road was back in 1954 and I remember our days in the old Third Division South before Alf Ramsey got us up in 1957 with the likes of Tom Garneys up front. Unlike most people posting, then, I have truly seen it all. While our football was at times unexciting last season, I feel that those people who hounded MM and TC out of our club should feel deeply ashamed of themselves right now. MM was a decent man who performed miracles in keeping us safely in the Championship with little money to spend. The players all loved him and he was able to attract quality loanees of the likes of Lawrence and Celina to add some flair. The abuse MM received was not the "Ipswich Way" of doing things. The appointment of Hurst and what then happened to our club was "payback", indeed. 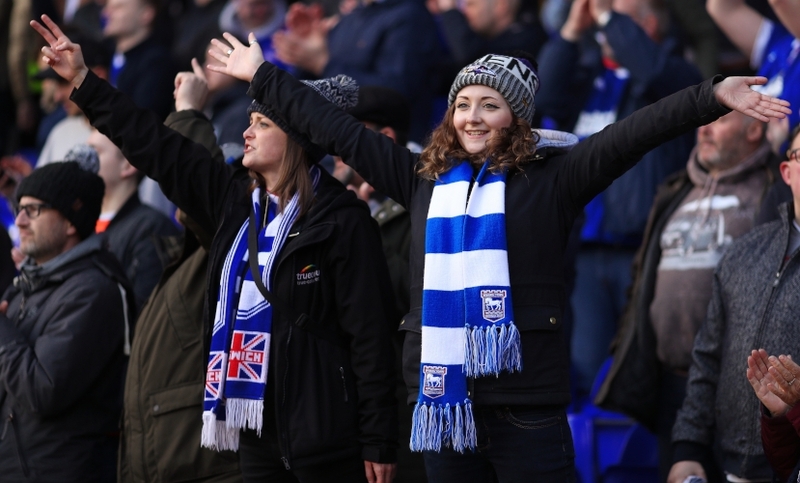 ITFC a bit like Brexit ? The Country voted out, but if they had a choice, those inside the Commons would vote stay. Those fans around the country/world who see results on screens and occasional matches say be careful what you wish for discarding MM. Those inside the stadium are buoyant about the future, that we have our Club back, and that football is back. OK it is League 1, and would never want to treat relegation lightly, but I believe in this Club and as I have said before it is not the hope that kills you, it is the utter lack of hope we had under MM that really does it....that and swearing at your own fans which my 14 year old has still not forgiven ! Chambers and Skuse should be 1st on team sheet next season BUT Lambert won't keep them there on reputation alone as per MM. Places in the team will need to be earned and retained by complete commitment and ability on the pitch. A few weeks ago, Cole, it was all, “I know the results haven’t been great, but we can see light at the end of the tunnel”. Yeah, it was the fkking light of the fkkking oncoming train that you’ve all been too fkkking dozy to get out of the way of. Fkkking bunch of frauds. Hopefully he'll jump ship like he did when Bristol city went down. Nothing against him personally he's probably a really nice person however the talent is just not there! Hopefully another championship team thinks he's as good as some fans and take him.